Honey bees fly over a rather large area. The language of the honey bee dance helps bees locate food. Have you ever seen a honey bee dance? Honey bee dances…really? Yes, that’s a fact, honey bees do actually dance – but it might be a little different from what you expect. You wont see them doing the twist or boogie woogie but they have some rather impressive moves of their own. Honey bee dances have been a source of fascination for beekeepers and insect scientists for many years. Early bee researchers noticed some of the bees doing strange movements on the honeycomb inside the hive. The bees were doing this for a reason but early beekeepers had no idea what it meant. In the early 1900’s, Austrian researcher Karl Von Frisch studied sensory perceptions of honey bees. His work proved that the repetitive dance moves of bees in the hive had meaning. The honey bee dance was a means of communication regarding the location of food sources. Von Frisch published his findings in his book “The Dancing Bees” . He received a Nobel Prize in 1973 for his work with honey bee dances. The ultimate goal of the honey bee colony is survival. As a social organism, the colony relies on teamwork and communication to procure needed resources. Without a good supply of food, a bee colony has no hope of growth or sustainability. 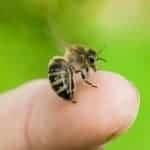 Many people think that bees collect honey but they do not. Worker bees fly from the hive to collect nectar. Nectar is a sweet liquid with a high water content produced by many blooming plants. Bees inside the hive transform the nectar into honey. Less prone to spoilage, honey is a great food for the bees during the cold winter months. Winter can vary in severity and length so the bees will collect as much food as possible before cold weather arrives. Honey bees are social insects and rely on various communication methods to perform all the needed tasks of the hive. Efficient nectar gathering is essential to the survival of a honey bee colony. A time will come when there will be no blooms and no nectar available to collect. The bee colony must store enough food to survive until Spring blossoms. The bees work hard to collect abundant nectar during the season of plenty. This may be why we say a hard worker is “busy as a bee”. Much time and energy would be wasted if each bee had to find a great food source on their own. The honey bee colony needs a good way to communicate prime foraging locations. They may not have cell phones, Ipads or email but they have a method that has been working well for millions of years. By (Figure design: J. Tautz and M. Kleinhenz, Beegroup Würzburg.) CC BY 2.5. The worker bees who collect food are female and so are the dancers. When a worker finds a great food source, she will return to the hive with nectar. The worker bee will dance and share samples of the nectar with others. The most well known of the honey bee dances is the “waggle dance“. It is fun to say and even funnier to watch in the hive. 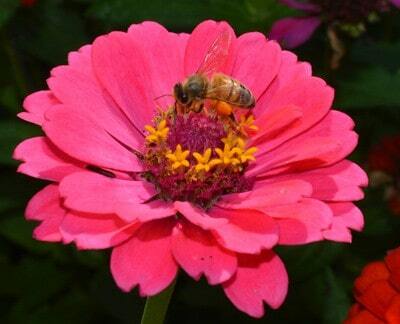 Nectar producing flowers near the hive will result in a “circle or round dance”. The round dance does not tell the bees which direction to fly. Because the food source is close to the hive. (within 20 meters) the bees will use their sense of smell and vision to look for the sweet blossoms. More workers are enticed to seek out the nectar source because of the dance. A good nectar source will impress many foraging bees. A large number of bees dancing for the same prime food location is common. When the blooms of a particular type start to dwindle, the bees will switch to a more attractive source. Again, they will “hit the dance floor” to show their love for the new nectar source. The honey bee is quite agile even when she is not on the dance floor. There is so much we don’t know about this wonderful insect. A recent study from Chinese researchers has given us a better understanding of the mechanics of honeybee movement. The inter-segmental membrane (the membrane that connects the plates on the bee’s back and belly) was studied. The membrane along the bee’s back is thicker than the one along its belly. This allows the bees to curl their abdomen but they can not do back-bends. This data may seem unimportant to the average bee enthusiast but showcases how much more we have to learn about the honey bee. Mankind has been interacting with this insect for thousands of years and we still have so much to learn. Perhaps with more study and research we will be able to discover ways to help the honey bee. Last Honey Bee Dance – Last Chance? 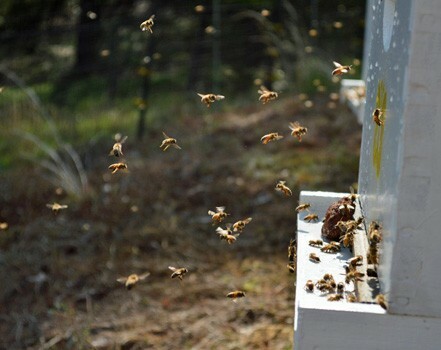 Forages respond to honey bee dances when searching for food. Fact, honey bees don’t have as much reason to dance as in the past. It is no secret that honey bees are having a hard time right now. Media sources contain a plethora of stories regarding the disappearing honey bee. Bee Colonies are dying at an alarming rate and those that aren’t dead are not as healthy as they used to be. We beekeepers keep shaking our heads as we try to find some way to help our bees. The plight of the honey bee has so many variables a solution has not been found. Researchers continue to search for answers and beekeepers try to hold on. 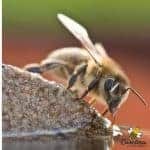 Better beekeeping relies on an basic understanding of bee behavior. The bees know what they are doing and it is our job to try to understand. They are trying to tell us something – lets hope we hear it before the last dance. I think I’ll look more closely in my hives tomorrow. The next new dance craze might be right under my nose.